Baseball is no longer an Olympic sport, which is too bad, because that would truly give the sport the world stage it deserves. Baseball moguls are hoping to get the International Olympic Committee to restore the sport, which last was in the Olympics in 2008, to the games by 2020. As a result, the World Baseball Classic is the event that showcases the sport on a worldwide basis. Fans in the United States have been kind of blasé about the WBC, but in other countries – particularly Japan and the Dominican Republic, previous WBC winners – there's a great deal of national pride associated with winning the tournament. The next World Baseball Classic won't happen until next spring, but later this week, from Feb. 11-14, qualifying rounds for the WBC will take place in Sydney, Australia. Why qualifying rounds? These are for teams that did not win a game in the 2013 tournament's pool play. They'll have a qualifying round along with 12 more teams hoping to make the final 16 that will play next spring. These countries will play in modified double-elimination tournaments of four teams for the final four spots in pool play. The Sydney qualifying round will feature Australia, New Zealand, South Africa and the Philippines. The winner of the tournament in Sydney qualifies for next spring's WBC. There will be two more qualifiers, which will be in Mexicali, Mexico and Panama City, Panama next month. The final qualifying tournament will be this September in Brooklyn, New York. The four qualifiers will produce four winners to join the 12 returning squads from the 2013 WBC. The home team, Australia, is the favorite, and not just because they're playing on home turf, which will be Blacktown International Sportspark. There are quite a number of former big leaguers on the Australian squad, including Travis Blackley, Peter Moylan, Luke Hughes, Trent Oeltjen and Ryan Rowland-Smith. New Zealand doesn't have the big-league star power of Australia, but they will be managed by Chris Woodward, who played 12 years in MLB for the Blue Jays, Mets, Braves, Mariners and Red Sox. The South African squad hopes to raise awareness for baseball in Africa by qualifying for the main tournament. Pittsburgh Pirates prospect Gift Ngoepe and Mariners pitching prospect Dylan Unsworth are top players for this club. While you might not think of the Philippines as a baseball country, there are several former big leaguers associated with the team in this qualifying round. Left-handed pitcher Clay Rapada, who pitched seven years in the majors for the Cubs, Tigers, Rangers, Orioles, Indians and Yankees, is the most recognizable name, and they will be managed by former White Sox outfielder Tim Hulett. All of these countries would like to make their mark on the international baseball scene. Baseball has been too often seen only as a game of the Americas, though there is, of course, a strong professional league in Japan. 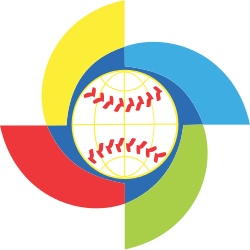 The WBC was created in part to help promote baseball throughout the world, and the fact that the USA has not yet won any of the three tournaments to date (or even made it to the championship game!) should show you that baseball talent is well-distributed everywhere. South Africa will play New Zealand and Australia will face the Philippines in the initial games of this qualifier, which will be played Thursday, Feb. 11 (Australia time). Major League Baseball might be getting ready for spring training in the USA, but don't ignore these games being played on the other side of the world. They're just as important to the future of the sport as anything happening in Arizona or Florida this month.